The Applied Learning Department at the College, focuses very strongly on practical hands on learning methodologies, whilst testing and using newly developed tools to train our students. For example, with the advent of smart phone applications and environmental monitoring tools, conservation leaders can now observe, record and analyse data for improved conservation management and of course, evidence-based decision-making. Over time, Africa’s future conservation leaders must be exposed to all forms of wildlife and natural history. From butterflies to birds, biodiversity conservation looks at the entire biophysical system not only to Africa’s large mammals. In 2017, as part of this process, the College’s Higher Education certificate students were introduced to bird monitoring, as part of their enrichment and learning experience at the College. Students were trained on bird identification as well as field skills in identifying various species. Utilising the BirdLasser smartphone application, our students have collected valuable bird presence and absence data for the College and surrounding region. The students install the bird monitoring application on their smartphones via the Google Play Store and register with BirdLasser and can immediately start collecting bird observations, including interesting bird behaviour, breeding, courtship and feeding activities. The data is then uploaded to the BirdLasser server and sent on to the Southern African Bird Atlas project, at the University of Cape Town (UCT), where it is utilised to develop key biodiversity trends, range maps, species updates and supports inputs into various conservation strategies for endangered bird species. The robust monitoring protocol and statistical ecological systems at UCT, also ensures that the quality of the data is authentic and credible. More, than that, it is also a fun activity and helps develop observation skills among our students, who are encouraged to monitor birds back in their home countries and regions, supporting the African Bird Atlas project. 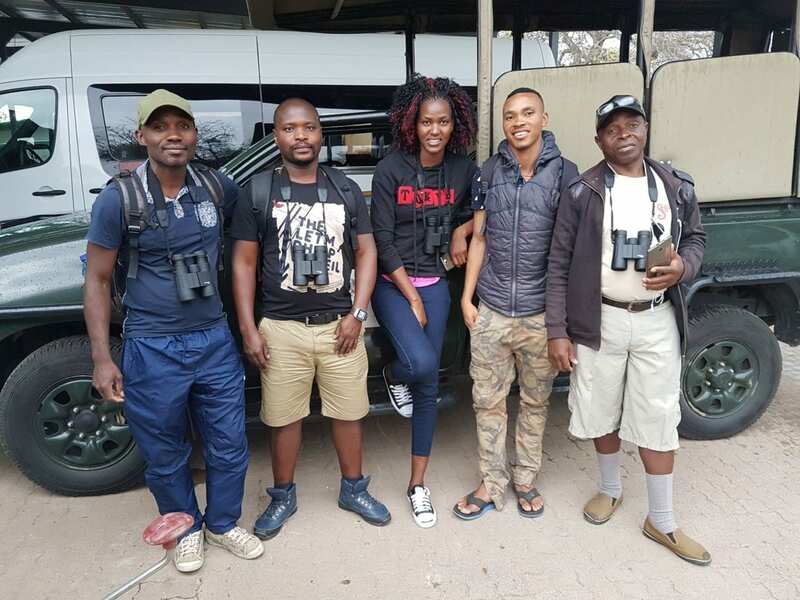 Several students, George Phiri, Selma Sikopo, Noble Mumbi and others are regular bird project observers. Since early 2017 to date, the College bird monitoring team has collected enough data, which has been analysed via the Southern African Bird Atlas project, showing us the reporting rates of bird species in and around the College as tabulated below. Essentially, as a guide to the percentages below, students conduct bird monitoring for a minimum of two hours and are likely to note Swainson’s Spurfowl 74.26 % of the time. The total species list is up to 277 for the College, which is an amazing total. In conclusion, this activity also assists the College in building a reliable and up-to-date bird list, whilst harnessing the interest of students. Hopefully, our students will continue to monitor birds and utilise the insights to improve conservation management planning and various conservation projects. Watch this space for further updates regarding our bird monitoring activities.